Since October Cheltenham Sales graduates have won a total of forty-eight black type races for connections. 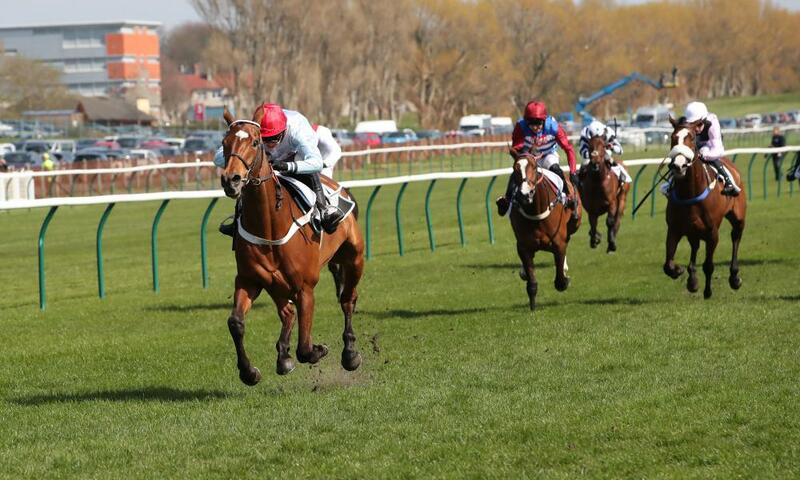 On Saturday on Ayr’s biggest race day of the year Verdana Blue showed her class when running away with the Grade 2 Scottish Champion Hurdle on Scottish Grand National day at Ayr on Saturday under Connor Brace for Nicky Henderson and owners Crimbourne Stud. The daughter of Getaway travelled notably well throughout under her claiming pilot before moving alongside the leaders on the bridle two out and sprinting clear for an emphatic victory. She was produced and sold by Edmond Kent for £65,000 at the 2016 November Sale to Highflyer Bloodstock. Secret Investor won his fourth race of the season when taking the Grade 2 Future Champion Novices’ Chase on the same card for Paul Nicholls and owners Hills Of Ledbury. The son of Kayf Tara attacked his fences and jumped particularly well in the hands of Harry Cobden and quickened well off the home turn to win in fine style and provide his trainer with his seventh win in the race. He was produced to win his Maiden point-to-point by Donnchadh Doyle at Athlacca in impressive style before being sold to Tom Malone for £175,000 at the 2016 May Sale. Earlier on the card Molly The Dolly provided the inform duo of Dan and Harry Skelton with another winner when taking the lucrative Novices’ Champion Handicap Chase. The daughter of Flemensfirth won her Maiden point-to-point for James Doyle and was sold for £82,000 at the 2016 renewal of the Festival Sale. Yesterday at Tramore Ontheropes sauntered to a ten-length success on his first start over hurdles in the Maiden Hurdle for Willie Mullins in the hands of Ruby Walsh for owners Cheveley Park Stud. The good looking son of Presenting was produced and sold by Denis Murphy’s Ballyboy Stables for £240,000 at the 2018 Festival Sale to Harold Kirk.